Tricks and treats, spooky ghouls and ghosts – it’s time. Happy Halloween! 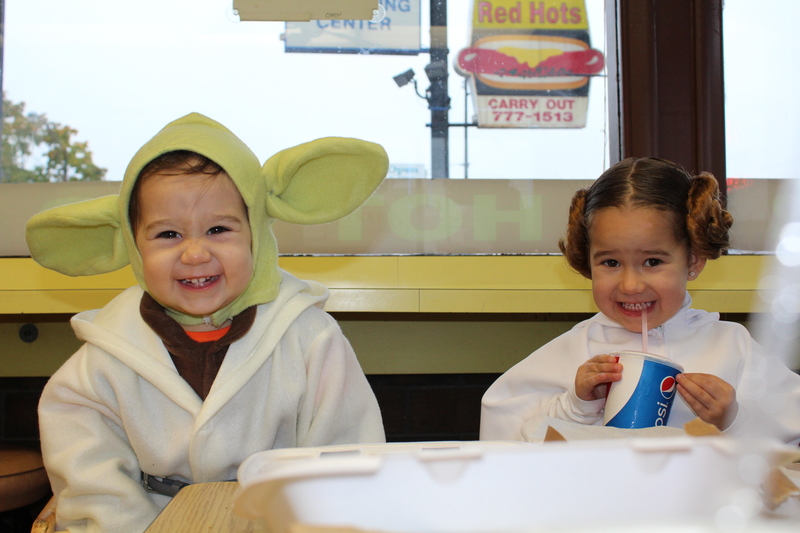 So 45º and rainy does not make for a great Halloween, but you have to make the most of it. We decided against the local treasure hunt, but stopped in at a couple of stores to eat and run some errands. 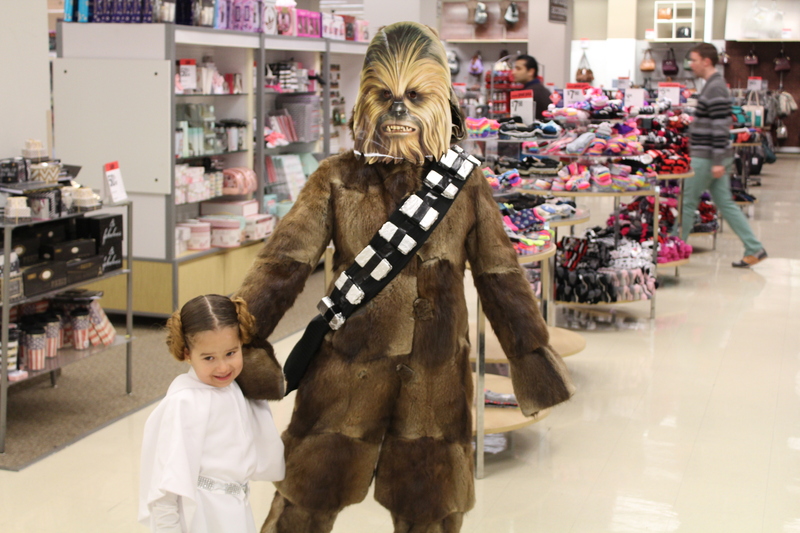 And really, what fun is running errands if you can’t bring your wookie with you? Bring your wookie shopping day! This is the first year for our family costume, so we all got in on the fun. 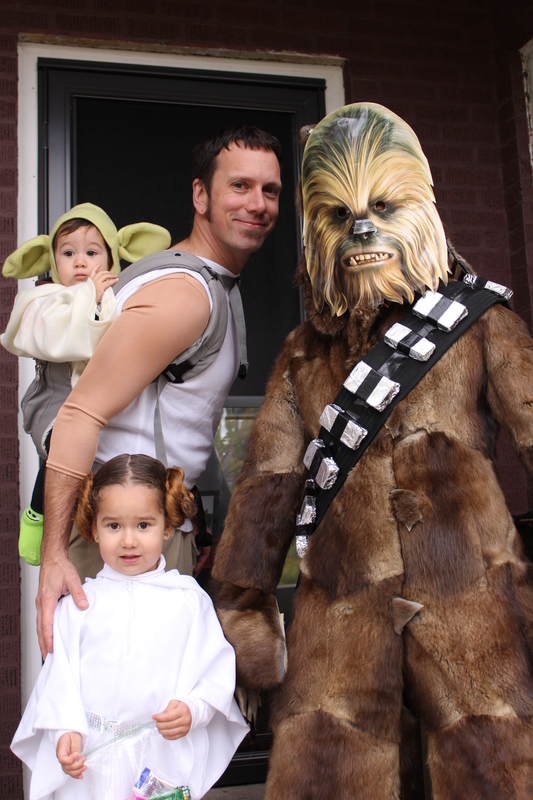 And here is probably the best part – that is Wife as Chewbacca, DIY suit and all. It seems like the rain has stopped for now. The trick-or-treaters are starting to come around, so maybe we will get rid of some of these 200 juice boxes. 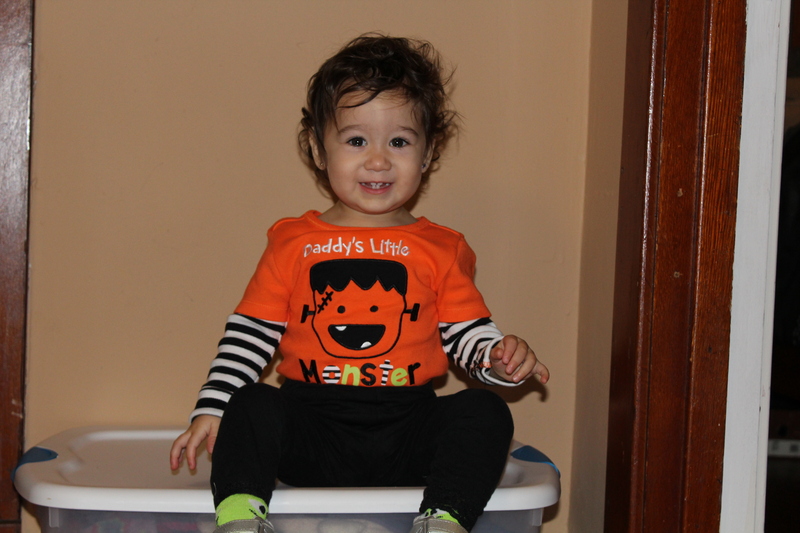 Have a Happy Halloween and stay safe out there! Practicing for the big day! The Cricket will be in a different costume on the 31st. 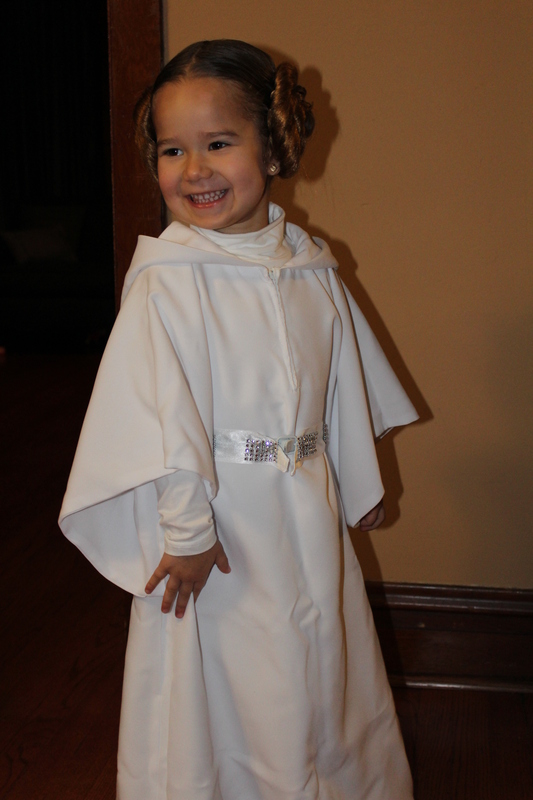 We are going to try our hand at a “Family Costume”. Want to guess the theme? Growing up I wasn’t too keen on haunted houses. If you asked my friends, particularly the members of my Boy Scout Troop, they would probably remember that in the 4th grade I ran out of a haunted house crying. And they probably wouldn’t remember me going to another one again. Because I didn’t go into another haunted house for eight years, until I was 18. That time I was more distracted by the screaming of the people in our group and more scared that they would pull me backwards that I forgot I was supposed to be scared of the attractions. But, that blip of haunted house courage didn’t convince me to start visiting the various “professional” haunted houses. No different now. 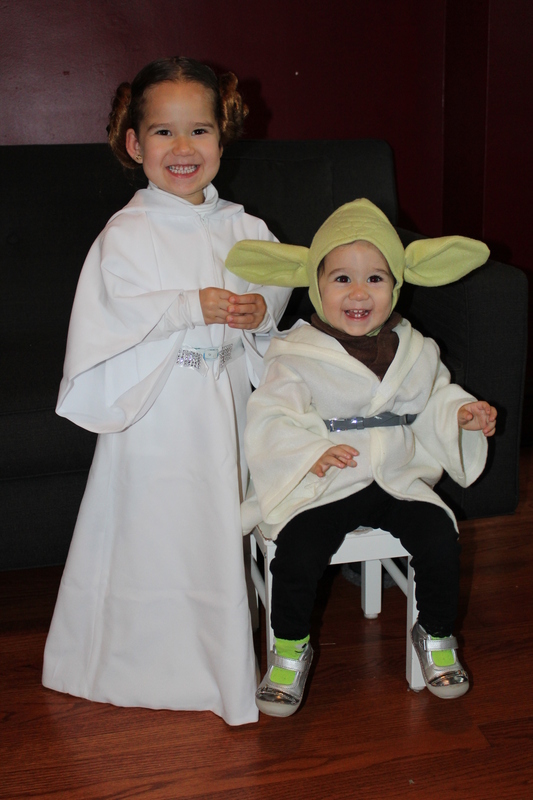 No, no, this year I have two little girls to worry about, and a family “costume” to try to execute. But I will be spending one night at a local haunted house. 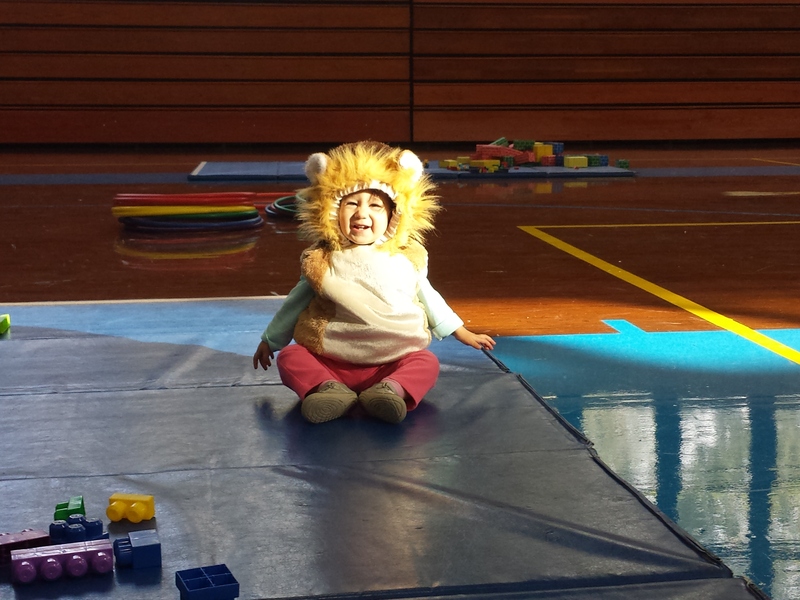 You see, Sweetie’s school does an annual haunted house as a fundraising event. There is a long history of the church hosting it, originally running through the church basement and boiler room (I know, right?!? ), and now the school keeps it going on the second floor of the rec center. So Wife and I are each going to work a night helping out however they need (this is only our first year). 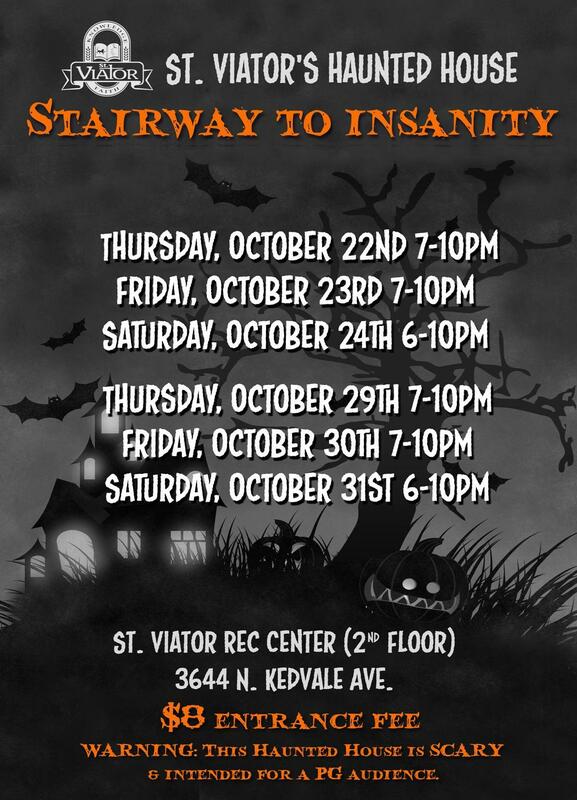 So if you are looking for a scare, but aren’t up for a house filled with professional actors, think about hittin’ up the St. Viator Haunted House. The school is on Addison, about a mile west of 90/94, so it is accessible. It runs Thursday, Friday and Saturday nights, this week and next. The coordinators rate it “PG”, and they discourage children under 10. Check the deets below. C’mon Halloween! I am a firm believer that a child’s early lexicon is a direct representation of their environment. An unfiltered reflection of what they are living. We are reaching a point where Cricket’s babbling is starting to shape up into words. As you can guess by the title, Cricket’s three favorite words are Ca-Ca, Ma-Ma, and Da-Da. Oh yes, in that order. I figure she is gaining an awareness of her body and what is happening to her. And her words are reflecting this experience. Poop is gross and uncomfortable, so she is learning to advise us when she is soiled. That’s the ideal. Of course right now just about everything is “Ca-Ca” (which is very easy to mistake for “gracias”, her number 4 favorite word). Everything except Wife, who of course is “Ma-Ma”. Now Mother is the Source, right? She is the fount of life from conception until she is not. So there’s no surprise that Ma-Ma is a favorite. And me? Well I’m always around. I’m happy with a top three finish.